The award, named for the founding executive director of ACCP, is given to someone who has devoted exceptional time and energy to the organization, which works to advance clinical pharmacy. Haines was president of ACCP in 2006-07 and has served continuously in some capacity for over the past two decades. 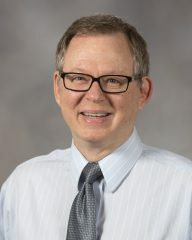 In addition to his work at the University and with ACCP, Haines is editor-in-chief of iForumRX.org, an online journal for ambulatory care pharmacy specialists, as well as a scientific editor for the journal Pharmacotherapy and for the textbook Pharmacotherapy: A Pathophysiologic Approach. Haines’ other accolades include an education award from ACCP, teaching awards from the University of Maryland and the University of Texas and recognition as a fellow and distinguished practitioner of the National Academies of Practice. Haines will be recognized at the ACCP annual meeting in Hollywood, Florida on Oct. 23.